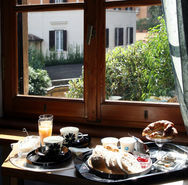 Our B&B and guesthouse combines highest standards of service with affordable prices. 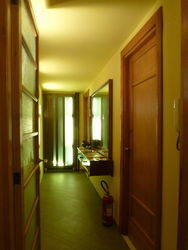 Below are the prices of the rooms for one night, including daily cleaning and a change of linens (every three days), as well as all our standard services. Rome accomodation tax amounting to 3,5 euros per night per person (children below 10 are exempted ), is not included in hotel rate and must be paid cash at check in time. Check-In: rooms are available from 2 PM ( your are kindly requested to have the management know the hour of your expected arrival ) . Early check-in has to be agreed upon while reserving. Check-Out: Check-Out time is 10:00 am. For departures untill 1pm a 50% of the cost of the room wil be charged. Reservations, either by e-mail or phone, require credit card details (Visa or Mastercard) or wire transfer, as a guarantee. The room will be considered booked just once the Management will have received a confirmation either with your credit card details, or with a pre-payment bank transfer both either by fax or e-mail. If we don't receive such a confirmation, the booking won't be considered final. - a deposit equal to the entire cost of your stay for reservations of one night. - a deposit equal to 50% of the cost of your stay for reservations for 2 nights. - a deposit equal to 40% of the total cost of your stay for reservations for 3 and more nights. We require the payment of the entire cost of your stay in cash upon your arrival at the B&B. We regret we cannot accept cheques. Requests of cancellation will be accepted only in writing, either by e-mail or by fax. The requests of cancellations must be made in office hours, between 8.OO AM and 6.00 PM CET. Cancellations or changes requested 20 or more days before the planned date of arrival incur no penalty: the management will refund the whole sum of the deposit, minus the bank fees. Cancellations or changes made within 20 to 10 days before the planned date of arrival incur the penalty of 50% of the paid deposit, plus the bank fees. - In case of reservation for one or two nights: the forfeit of the entire deposit; no refund will be made. - In case of reservation for three or more nights, we will refund 20% of the deposit, minus bank fees. No refunds will be made in case of cancellations or reservation changes for any reason made on the day or less prior to the planned day of arrival. The above cancellation policy applies also in cases of force majeure cancellations . In case of early leave, for whatever reason, no refunds will be made. In case of delayed arrivals, we cannot accept responsibility either. Should you arrive one night later than agreed upon you will be charged full price for the night. As it concerns additional services required through My Guest Roma to third parties (e.g. accommodation in other B&B, pick up service, reservation for museums and/or tours, car parking, meals, special breakfasts as well as ticket purchase for concerts, museums, sport events, etc. ), they are definitely non-refundable, non-transferable, non-adjustable, nor they can be cancelled. Therefore, such services will be fully paid, irrespective of cancellation time or change of reservation. Nonetheless, at My Guest Roma we will always do our utmost to reduce your eventual loss.